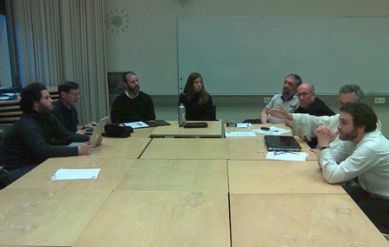 A group of Jewish Christian scholars held an ecumenical conference in Helsinki, Finland earlier this month in an effort to "affirm their Jewish identity, their faith in Jesus and their desire for unity," according to a statement. The conference, which was the first of its kind in modern times, brought together Jewish leaders of Catholic, Orthodox, Protestant and Messianic traditions from June 14-15 to discuss the global growth of Jewish believers. "There are many Jewish people in the body of Christ. We believe that this reality reflects God's intention that Israel and the Nations live as mutual blessings to one another," the group's closing statement reads. "In light of this truth, we think that the life of Jews in the body of Christ has theological significance for that body as a whole," the statement continues. "Their presence serves as a constant reminder to the body that its existence is rooted in the ongoing story of the people of Israel." "This was an unprecedented conference bringing together Jews who believe in Jesus as Messiah from a very wide range of communities and traditions," said Dr. Mark Kinzer, president of the Messianic Jewish Theological Institute (MJTI), one of the conference's organizers. "The increasing number of Jewish followers of Jesus is a phenomenon of great importance, impacting the worldwide Church as it rediscovers the Jewish roots and character of its faith," he added. "The presence of Jews in its midst is a resource and means of blessing that the historic churches can not afford to ignore." Father Antoine Lévy, director of the Helsinki Studium Catholicum, affirmed the continuing identity of Jews in their various Christian congregations, saying, "We exist, and despite 2,000 years where the Church and the Jewish people have been separated and often hostile to each other, we are a living bond that demonstrates the Messiah Jesus' own solidarity with His people, as much as the richness of the heritage of Israel that has been opened up to the Church made up of Israel and the nations." The conference's fifteen participants hailed from the United States, Britain, Finland, France, Germany, Russia, and Israel. Their presentations are set to be published in the journal Kesher, an academic journal of MJTI. Organizers are planning a similar event for 2011.